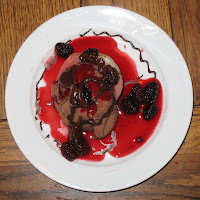 "Poire belle Hélène (German: Birne Helene) is a dessert made from pears poached in sugar syrup and served with vanilla ice, chocolate syrup, and crystallized violets. It was created around 1870 by Auguste Escoffier and named after the operetta La belle Hélène by Jacques Offenbach.Simpler versions replace poached pears with canned pears and crystallized violets with sliced almonds." All news to me. I've always thought of Pears Helene as half a poached pear with vanilla ice cream, raspberries and chocolate sauce on top in that order.... Hmmmm, maybe I'm confusing peach melba. 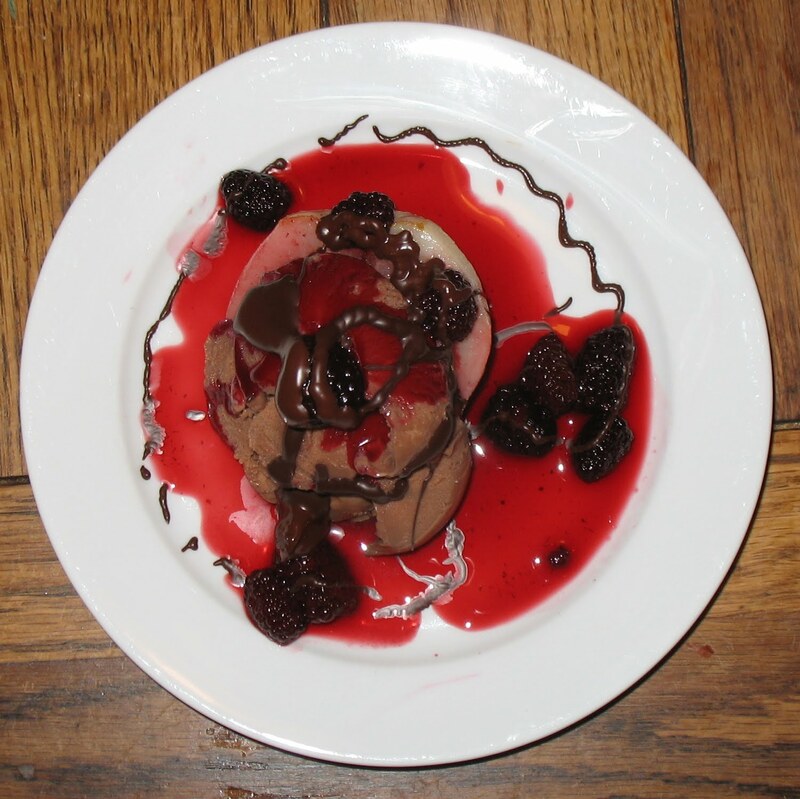 At any rate, here is a dessert I made recently using Stonyfield Farm After Dark Non-fat Chocolate Frozen Yogurt - not as rich as ice cream but the best non-fat yogurt I have found. Bring to boil then add pear(s) and simmer 2-3 minutes or until pear is easily pierced with a fork. Remove from heat and cool to room temperature. Microwave on high for 30 seconds then stir. Check and stir at 30 second intervals until chocolate is smooth. Be careful, if a small amount of chocolate, check more often. It will burn! HINT: If you melt chocolate frequently (as for dipping strawberries when they are in season), or Dark Chocolate Drizzle, of which this dessert is a variation, cover and leave the small bowl used to melt the chocolate with any unused melted chocolate in the refrigerator.